I was in Chicago recently and visited the American Girl store for the first time. I had never been, despite multiple visits to Chicago and Water Tower Place, and what I found was utterly enchanting: three floors of dolls, clothes, accessories, a café, a “hospital”, even a hair salon. I was aware of the brand but not familiar with their products. Did you know you can get a hearing aid for your American Girl doll? Or that you can pick a doll with your skin tone and colorings? I had no idea that the product line was so inclusive. What caught my eye more than anything was the book section. Big surprise, right? They had a series of advice books that I would have loved to read as a girl. Subjects like handling rumors to hygiene to manners are all explored and covered. 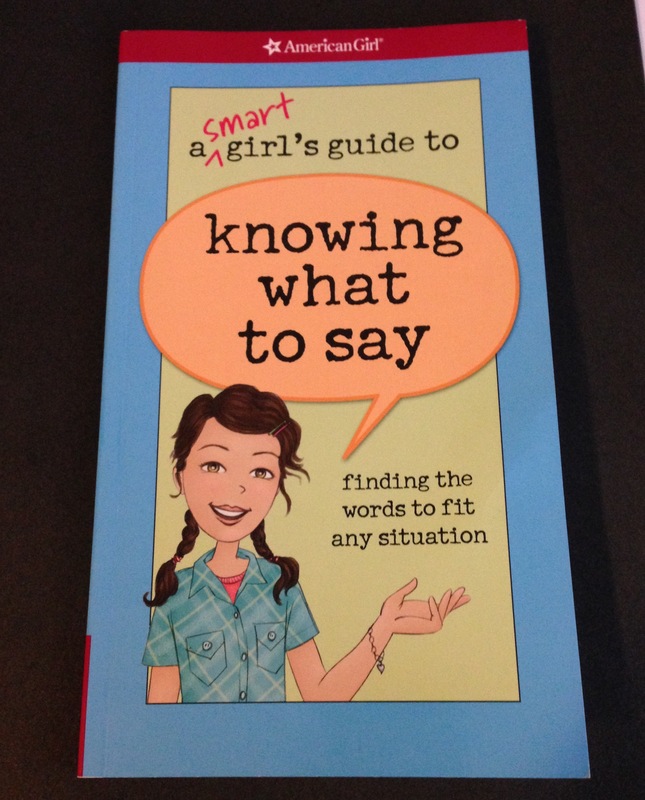 One title in particular caught my eye: A Smart Girl’s Guide to Knowing What to Say. While some of the items in the book may not apply to adults (i.e. how to ask your parents for a new toy), there are plenty that do. From a whole page of how to politely say no to clever comebacks to when someone you know is sick, this book covers a whole spectrum of scenarios that come in handy at any age. I ended up buying the book and reading it on the way home. I’ve already put this book to use, with favorable results. The lesson here is simple. You never know where you’re going to find something helpful, so always be open to explore and willing to try.